It's time to rumble! 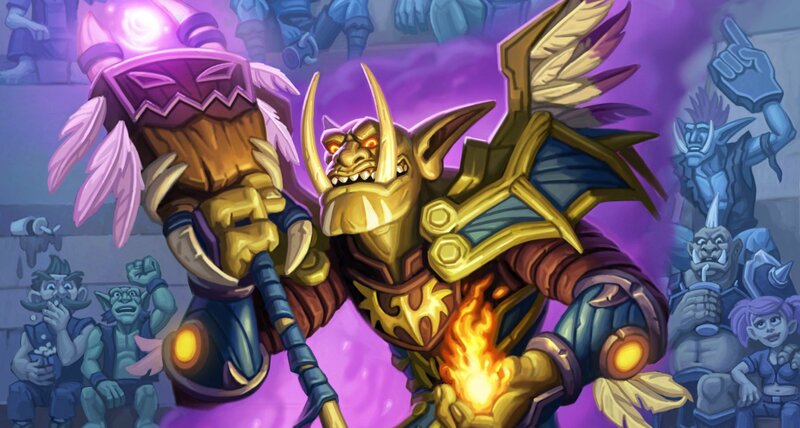 Hearthstone's latest expansion takes players into the Gurubashi Arena, where nine champions will battle it out for supremacy. That's the idea behind Rastakhan's Rumble, the final expansion in the Year of the Raven. To get an idea of what's on the way, Shacknews spoke to Game Designers Giovanni Scarpati and Stephen Chang during this weekend's BlizzCon to learn more about what Hearthstone players can expect from this newest batch of cards, as well as from the latest single-player content. Giovanni Scarpati, Game Designer: The main concept is that once a generation, in Stranglethorn Arena, trolls from all across Azeroth gather together to duke it out for the glory of their Loa, which are the tribal animal gods that they worship. That's the setting for the entire event. Shacknews: We've got nine classes! We've got nine teams! What can you tell me about the teams? Stephen Chang, Game Designer: Each class has its own team and each team is represented by one of the Loa. For example, you have the Rogues and they're represented by the Sharks. And the Paladins are represented by the Tigers. They evoke the flavor of the class. The Tigers are very noble and upright, while the Sharks are more sinister and trying to do more evil deeds. Shacknews: In keeping with the theme of team spirit, what can you tell me about the Spirit cards? Chang: Each class has a Loa that is their Legendary. They also have a Spirit card, which are rare cards that work with the Loa. They sort of have these synergies that make them work very together in the decks. 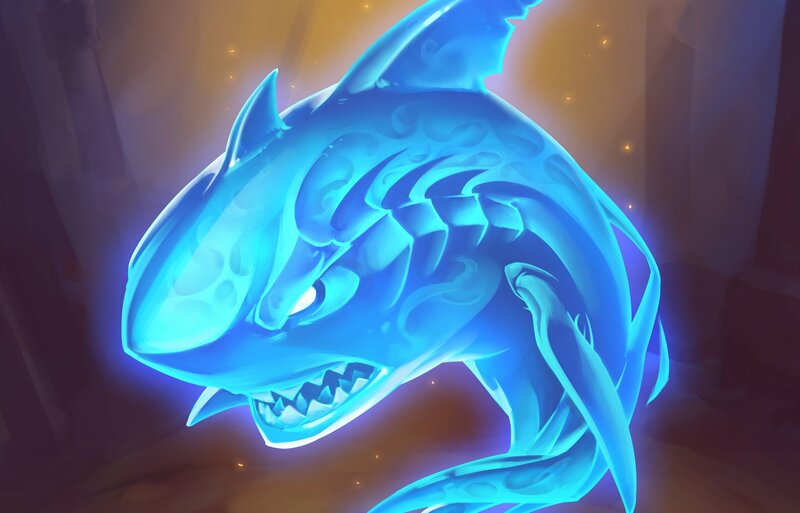 Shacknews: I saw the Spirit of the Shark at the [Hearthstone: What's Next] panel and I noticed that it was the most expensive of the Spirits. Is that because of the Rogue's lower-cost spells? Chang: It was more a matter of the power of the ability. The ability to double the effect of minion Battlecries and Combos is quite powerful. So the reason it's more expensive is because you can get very strong effects from it if it lives for the turn. Scarpati: All of the shrines are 0/3s, but their Mana costs scale depending on the power of the effect and how they would work. Shacknews: Can you tell me about the Troll Champions and how they fit into the Rumble theme? Scarpati: There's a Loa and a Champion for each of the teams and they push the style of that class in a different direction. They can go in the same deck together, but they push a different archetype. They represent a different aspect of the team. Chang: They're like the star player. Scarpati: Think of them as the star player. Shacknews: What can you tell me about the primary function of the Overkill keyword and how did you guys come up with that idea? Chang: The idea of Overkill came from the trolls battling it out in the arena. And they're very showy and flashy and we wanted a mechanic that sort of captured that flavor. That's where we came up with Overkill. It creates a lot of interesting combat situations where you have to decide whether or not you want to trade into a minion to damage them and Overkill them for a bonus effect or if you just want to kill them off. It creates a lot of skill-testing decisions for players and it's very interesting to play with. Shacknews: I just saw Hex Lord Malacrass at the panel, with a Battlecry where it copies your opening hand. So I wanted to ask, what are some of the other weird mechanics that you've toyed with in this expansion? What have you played around with? Scarpati: Originally, the shrines... very early on, this didn't make it into the final game... did some very weird things where they couldn't be attacked by other minions. Or when they died, they went dormant. We actually took some of those ideas from the set that weren't implemented and used those in the Rumble Run. Shacknews: Lastly, what can you tell me about the new single-player content. Can you tell me more about the Rumble Run? Scarpati: We took the idea of the Spirits, which exist in the collectible set, and do something crazy with them. We wanted to put the emphasis on no-holds-barred combat between really powerful characters. So we have these shrines that the champions have brought into the battlefield, which do these crazy effects. We actually have a panel [Saturday] where we go more into detail about this. But it's more of a focus on the player fantasy of being really, really powerful and doing crazy things in an environment you couldn't really do in PvP. 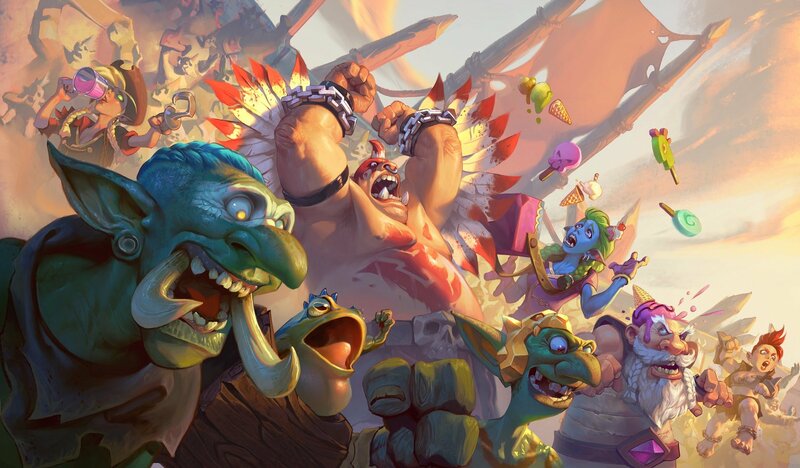 Hearthstone: Rastakhan's Rumble is set to release on December 4.